This isn’t a dream or a crazy idea it is an upcoming fact. 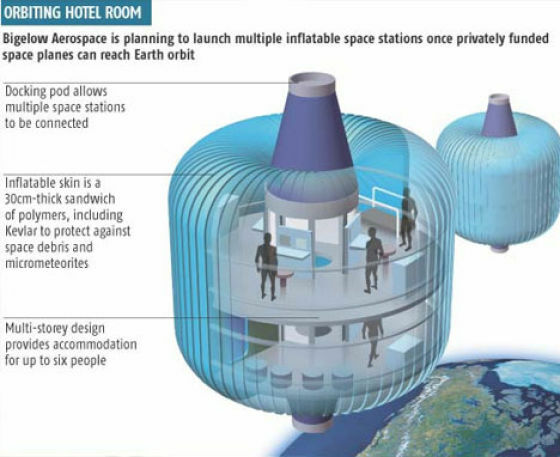 In the future we can take trips to hotels in outer space. In less than a decade the first men and women will be able to have a vacation in space. 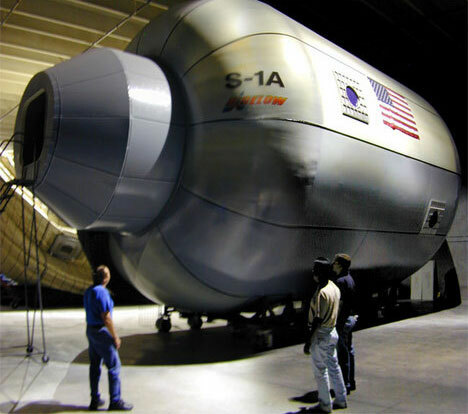 The Bigelow Aerospace company has worked with NASA before in producing sustainable residences in space. Once they parted ways Bigelow Aerospace has begun creating these inflatable hotel pods. They have already launched prototypes of this inflatable space hotel room and they are testing them out now. Learn Something Fun: The International Space Station is the first truly international space project with the participation of 16 countries: United States, Canada, Russia, Japan, Belgium, Denmark, France, Germany, Italy, The Netherlands, Norway, Spain, Sweden, Switzerland, the United Kingdom and Brazil.